Taken from Motorcycle Information, a magazine published by the Japan Automobile Manufacturers Association, a reporter visits Kesennuma City, Japan, a community badly hit by the Earthquake and tsunami on March 11th. Entering Kesennuma City, mountains of debris lined both sides of the road. The scattered wreckage of decimated homes was piled up over a vast area, with the sea visible in the distance. In places where residences once stood, people could be seen picking and searching through the rubble. Fires broke out here after the tsunami hit. Moving through this area, large-size boats could be seen on top of burned out debris where they had been deposited by the fierce waves. 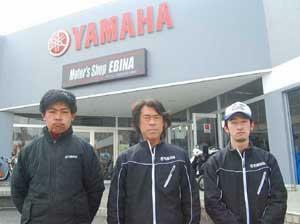 Only three stores open for business – two of them are motorcycle dealerships. The primary purpose of this journey was to travel around areas struck by the big earthquake, and talk to motorcycle dealer shops, owners and other local people. The tsunami had not spared anything on its way. Only three businesses on the outskirts of this town (one supermarket and two motorcycle dealer shops) were operating. Power shortage, suspension of the water supply and other severe inconveniences made it impossible for the surviving stores to remain open. The Motorcycle as a Life Saver “Moto Shop Hirono” operated two shops – an older establishment (open for 50 years) in the central section of town, and a new shop about three kilometres from the old one. Owner Takeo Hirono handled business at the new shop, with his mother in charge of running the older location. After the quake struck and a large tsunami warning was issued, Mr. Hirono took off in a light truck to check on his mother and the conditions at the old shop. As a traffic jam had formed on the way to the centre of town he immediately returned to the shop, where he mounted on his motorcycle and set out to rescue his mother. Arriving in the urban district, Mr. Hirono was lucky enough to quickly find his mother, who was trying to flee from that area. 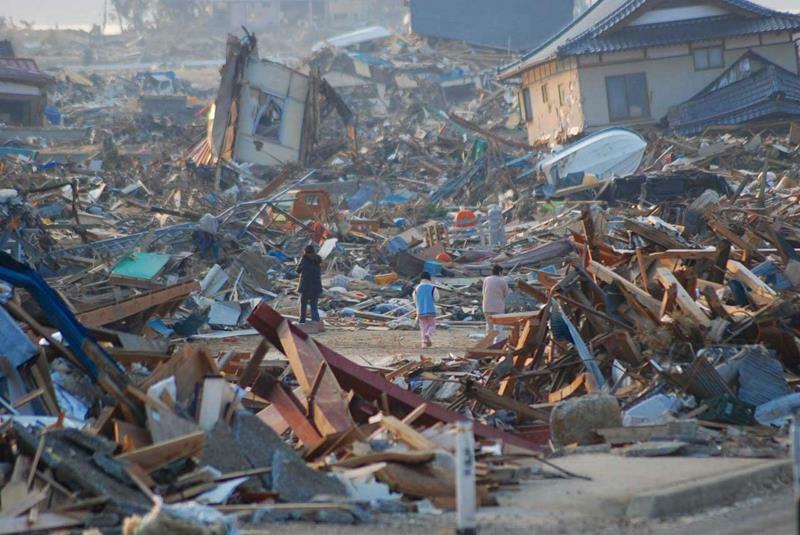 During the first few days after the tsunami, survivors searched for family members or made attempts to walk back to their homes. “An exhausted man, covered in mud, arrived at the shop and asked me to lend him a motorcycle to make it to hishome to check on his family. There was a particular surge in requests to fix punctured tires caused by debris,glass, nails and other sharp objects. Since the logistics network was virtually frozen, repairs required a considerable time. As a result, Mr. Hirono’s 20 mopeds in stock sold out in no time. In Mr Ebina’s account when the earthquake struck, the shaking grew so violent that he has to usher customers outside of his store. Rows of motorcycles on displaytoppled over one another. “Luckily everyone in my family, as well as my employees survived the earthquake and tsunami. We kept the shop closed but when our regular customers began to show up to see how we were doing we decided to stay open. In no time, Mr. Ebina’s shop became a bustling contact point for exchange of much sought after news of the whereabouts of motorcycle owners. "Written messages were posted inside the shop asking if certain people had been accounted for, while others reported that they had survived and where they could be reached. The store literally came to resemble a disaster information centre. Motorcycles provided critical support during the disaster, and in some cases they even made the difference between life and death. Responding to the anxious desire of people to move around or out of the debris-strewn zones, motorcycles supported the vital lines of human communication during this most trying time. Motorcycles, as highly efficient means of transport largely resistant to road congestion, were proving effective in restoring a sense of activity and vitality to thecommunity. The Japanese automotive industry is suffering from the consequence of the earthquake and of the ensuing power shortages. Motorcycle production in Japan in Aprildeclined by 20% compared to April 2010. Latest figures however suggest an improvement of the situation with a production increase of +10.2%on the same month of the previous year after four months of downturn. As of April 15, the number of dead and missing in the disaster had risen to over 28,000 persons, with some 140,000 persons forced to live in shelters and other evacuation sites.